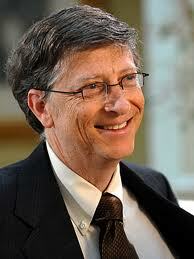 In Bill Gates' Book for high school and college graduates, there is a list of 11 things they did not learn in school. In his book, Bill Gates talks about how feelgood, politically-correct teachings created a full generation of kids with no concept of reality and how this education set them up for failure in the real world. The world won't care about your selfesteem. The world will expect you to accomplish something before you feel good about yourself. Before you were born, your parents weren't as boring as they are now. They got that way from paying your bills, cleaning your clothes and listening to you talk about how cool you are. So before you save the rain forest from the parasites of your parents' generation, try "delousing" the closet in your own room.